John Keeley is Blackburn Rovers’ current goalkeeping coach and will almost certainly be at the Amex today. Hopefully, he’ll receive a warm welcome from Brighton supporters. He’s already been at the stadium in Falmer before, having served in the same capacity for Portsmouth after stepping up from being Pompey’s academy goalkeeping coach in 2010. 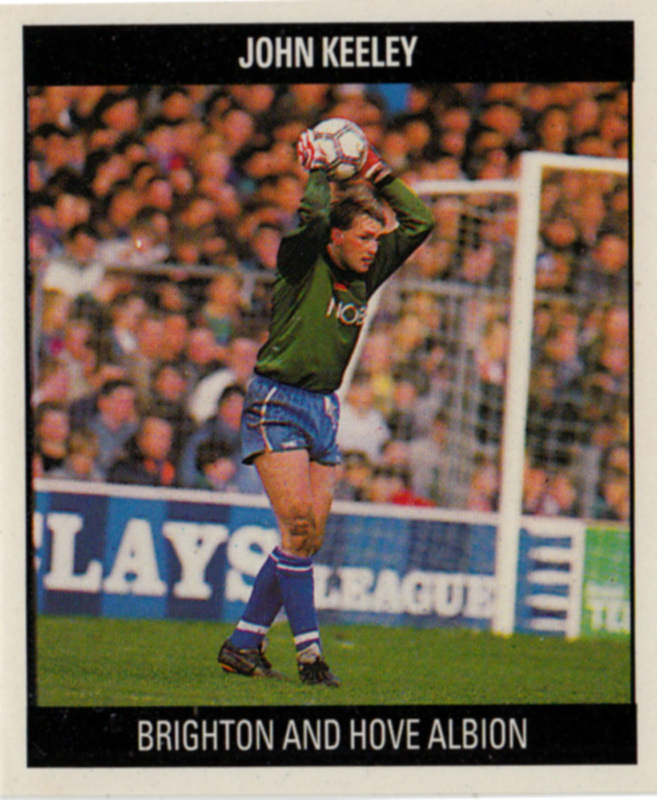 Before that, he had a stint as Albion goalkeeping coach in the Withdean years. 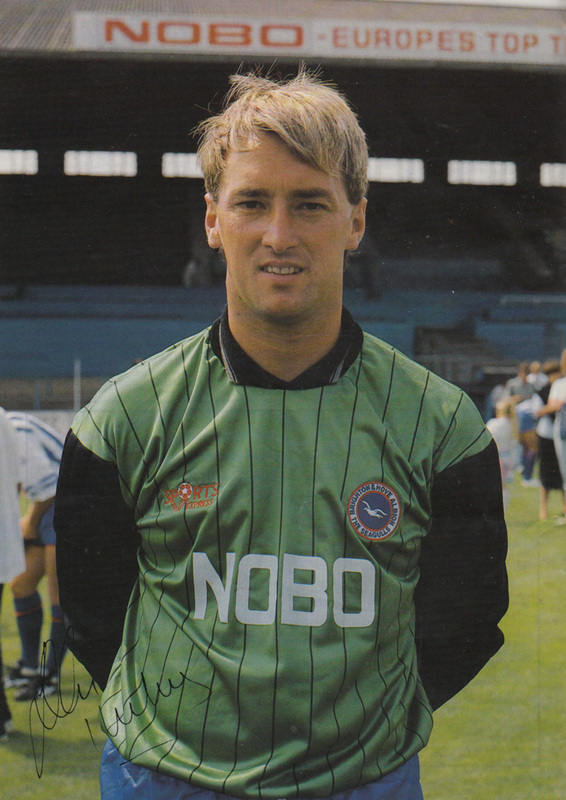 However, it’s as Brighton’s number one in the 1980s that he is most fondly remembered in Sussex. The 6ft shotstopper began his League career with Southend but quit in December 1984 after falling out with manager Bobby Moore. After becoming a taxi driver, Keeley impressed Albion scout Terry Gill while playing for Maldon Town and Chelmsford City. At twenty seven years old it seems that Albion goalkeeper John Keeley is at last getting something back from the game which in the past has been harsh on him. Promotion to the Second Division was undoubtedly the highlight of his career so far, and a happy change in fortunes for a man who found League soccer with Southend so depressing that he quit the sport with no intention of ever coming back. Instead John took up taxi-driving in Canvey Island, a job he had little enthusiasm for but at the same time is glad to have experienced. ‘When you take a couple of years out and work like that you appreciate the sort of success Albion had last season all the more. Although I’d have stayed in soccer if I was doing it all over again that doesn’t mean I regret what’s happened to me. My view is that it might not have been fun sometimes, but at least it paid the bills and I was glad for that. Of course, no matter how approachable a player is off the field (and Keeley ranks highly in that department), there will be little sympathy if he does not produce the goods on the pitch. No problems there though either. Last season John was one of just two ever-presents in the side, turning out 57 times and letting in only 47 goals one of the best records in the division. The return to Division Two in 1988/89 proved to be bumpy as Albion got off to a disastrous start of eight successive defeats. Keeley’s record of 63 consecutive appearances was broken when he ruptured thumb ligaments and missed the 1-0 home defeat to West Bromwich Albion in September 1988 (the match where Digweed was also injured). The ex-taxi driver returned to complete 37 League appearances by the season’s end and was voted Player of the Season. He was sold to Oldham Athletic for £240,000 in 1990 but rarely got a sniff of first team action at Boundary Park. After spells at Colchester, Chelmsford, Stockport County, Peterborough United and Chelmsford (again), he was back as a taxi driver and ended up playing for Isthmian League side Canvey Island. Fantastic work with this brilliant piece! 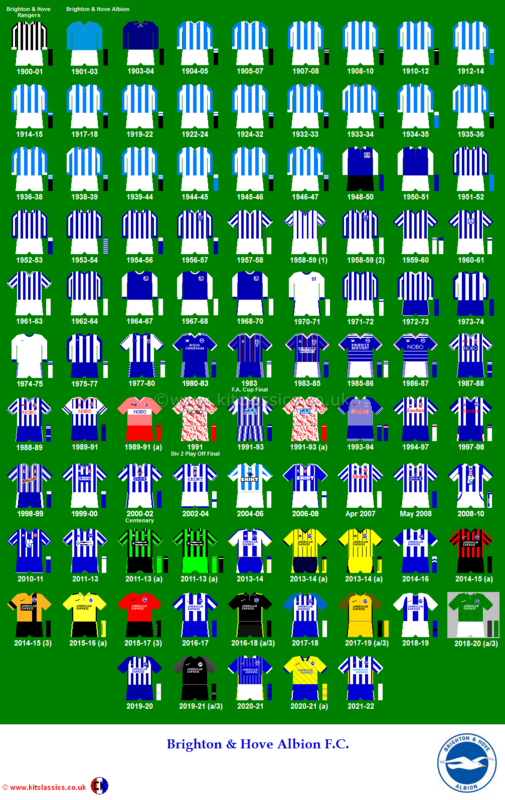 The Goldstone Wrap is unmissable/essential, daily reading/viewing for all Albion fans!